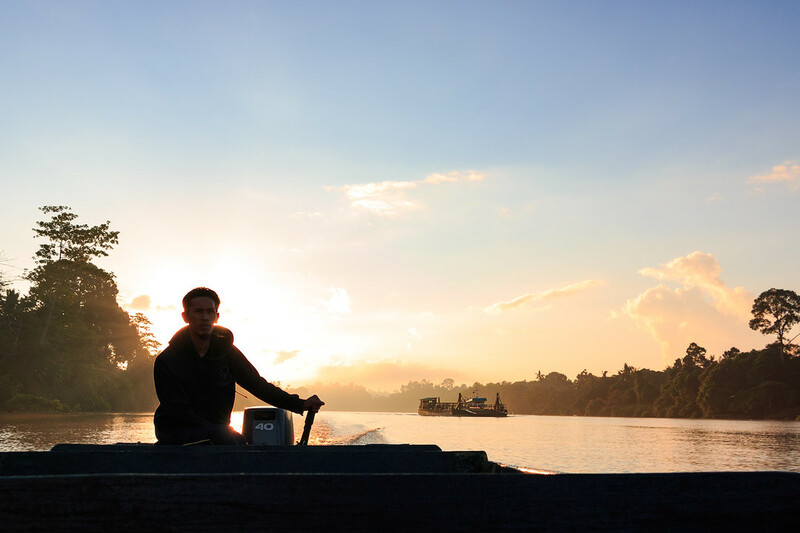 When you look on the Internet it seems very complicated to do a Kinabatangan river cruise by yourself, without buying one of the packaged tour from a travel agency. But it is actually doable and will be cheaper. You can fly to Kota Kinabalu and take a bus from there to Sandakan. The bus route is quite long (at least 6 hours) and not so interesting (lots and lots of palm oil plantations). This is the cheap option. You can fly directly to Sandakan with AirAsia or Malaysia Airlines (although we had a terrible experience with Malaysia Airlines AWFUL customer service and don’t recommend them). This is easier and quicker, but more expensive. Even though we don’t usually recommend flying over taking a bus, as it is more harmful to the environment, we preferred flying this time. 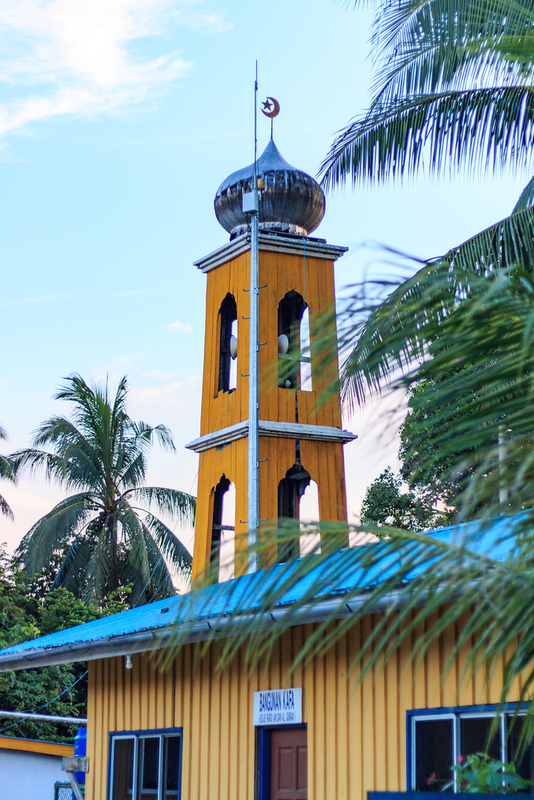 Unfortunately, there is no public transport to get you from Sandakan to one of the villages on the river. What everyone does and what we did was get in touch with Mr Choy, a local who does the route to Sandakan / Sepilok from Sukau and back every day. His phone number is all over the internet. One way trip (Sepilok to Sukau) cost us 50RM per person. There is a bus doing the Lahut Datu to Sandakan route, and you can wave at it on the side of the road, it will stop for you. We missed it by 1 minute so we hitchhiked and found a car willing to drive us in less than 15 minutes. Don’t worry mom and dad, we didn’t get kidnapped ! The only issue was that our kind driver didn’t speak english so we couldn’t communicate a lot. That’s it ! 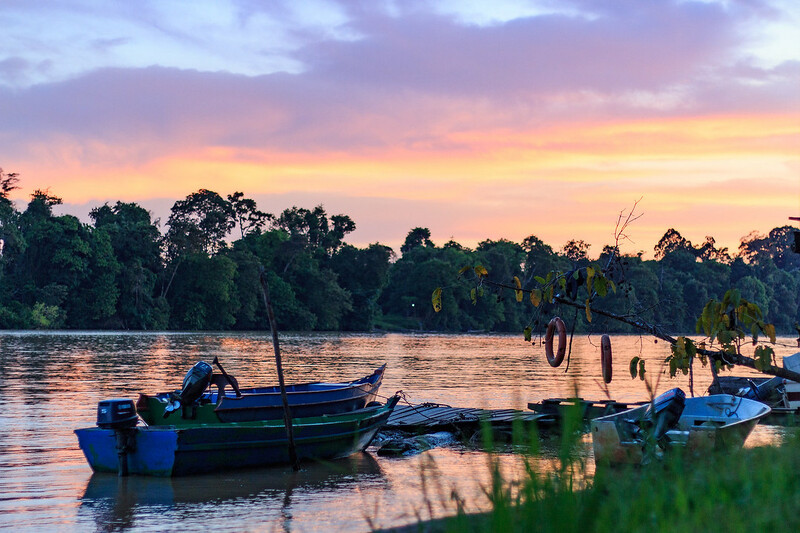 There are two villages you can stay in to do a river cruise : Bilit and Sukau. There are probably other villages, but those are the ones where you will find plenty of accommodation. We stayed in Sukau. The village has a few guesthouses and lodges, depending on your budget. We stayed at RD Sukau Lodge, which might be the cheapest in the village. A cabin for 2 with fan (no aircon), breakfast included was 60RM/night. But with that price, comes compromises ! The cabins are old and not well taken care of. And since it’s in nature, it’s inhabited by all sorts of insects. It wasn’t dirty but very rustic and not cosy. We didn’t care, we were happy to save a bit of money. At RD Sukay Lodge, a river cruise is 50RM per person and meals are 15RM per person. Their 2D1N package is 180RM per person. They also have a 3D2N package at around 360RM (not so sure about that). We did a mix of their 2D1N package as you can also just rent a room and choose your river cruises “à la carte”. The good thing about staying at RD Sukau was that we were the only ones there. I think mainly because it is not advertised anywhere on the web and most people do an organised tour, they probably rarely have guests (hence why the cabins are old and dusty !). Being the only ones there meant having their boat all to ourselves ! We had the boat with a guide and a boat man to ourselves, deciding when we wanted to stop and when we wanted to go. Priceless ! Morning at 6am : good for spotting orangutans and birds. Evening at 4pm : good for spotting proboscis monkeys and sometimes crocodiles. Night between 7 and 9pm (whenever it’s dark!) 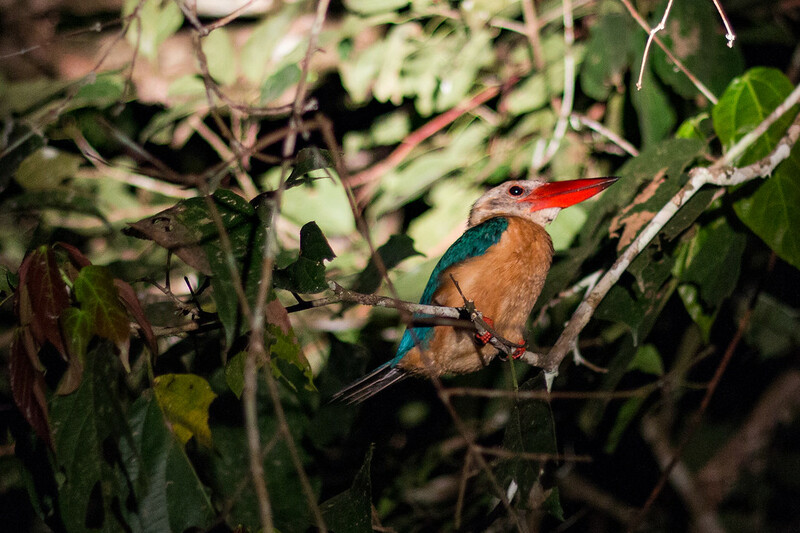 : good for spotting crocodiles and nocturnal animals like owls. 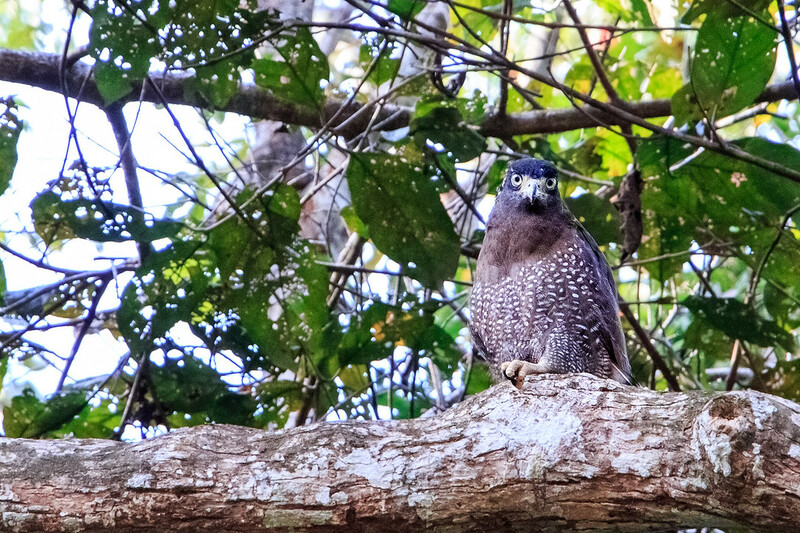 I mention Bilit as I know, after some research, that Nature Lodge Kinabatangan is located there and organises tours. They offer a river cruise and accommodation package at an affordable rate. But again, you can go there and only rent a room and then choose your river cruises “à la carte”. If you still want an affordable organised tour, I can tell you that after many research, the cheapest you will find in Sukau is Greenviews. Their accommodation seems a bit more comfortable than RD and their 3D2N package which includes a pick up in Sandakan / Sepilok, is only 499RM per person. But, more people with you on the river cruises. The package includes a few river cruises, guided walks, nights and meals. 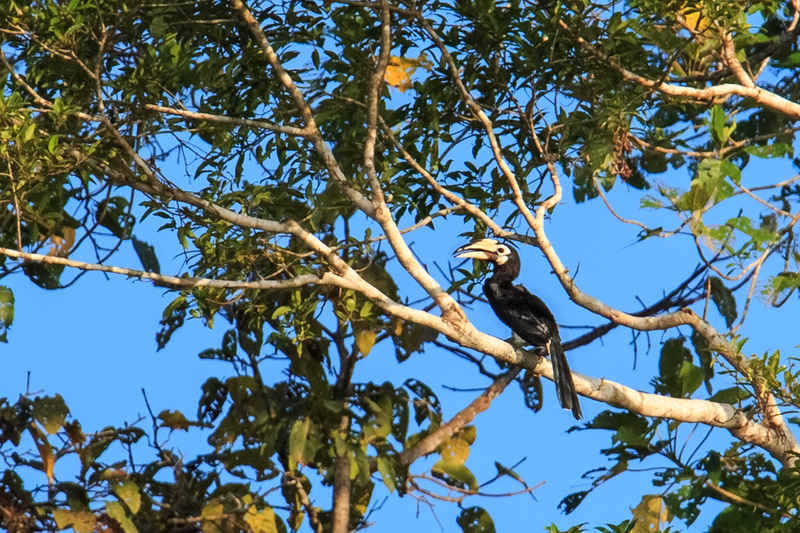 Here are the animals we managed to spot while cruising on the Kinabatangan River. We all saw them around Sukau, apart from the elephants that were a few kilometers upstream and we had to change village and take a boat from there to spot them. 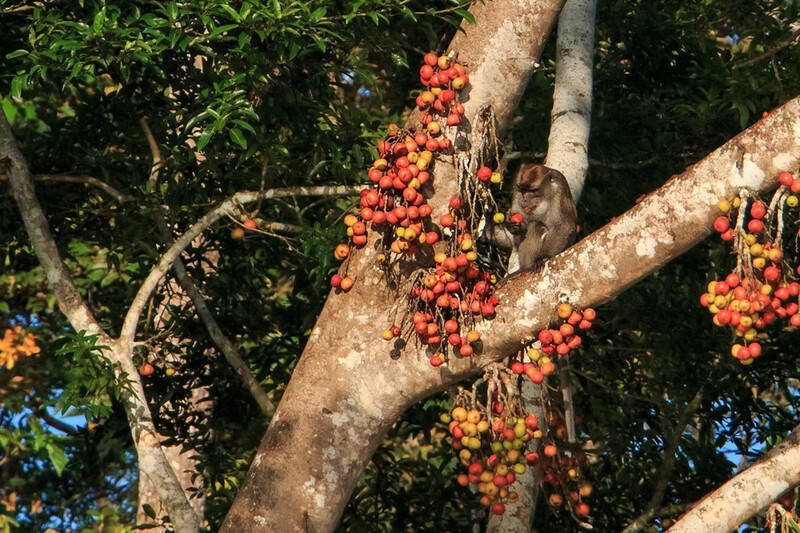 Also, we didn’t spot any wild orangutans, but we only did one morning river cruise and that’s when they’re usually more active. 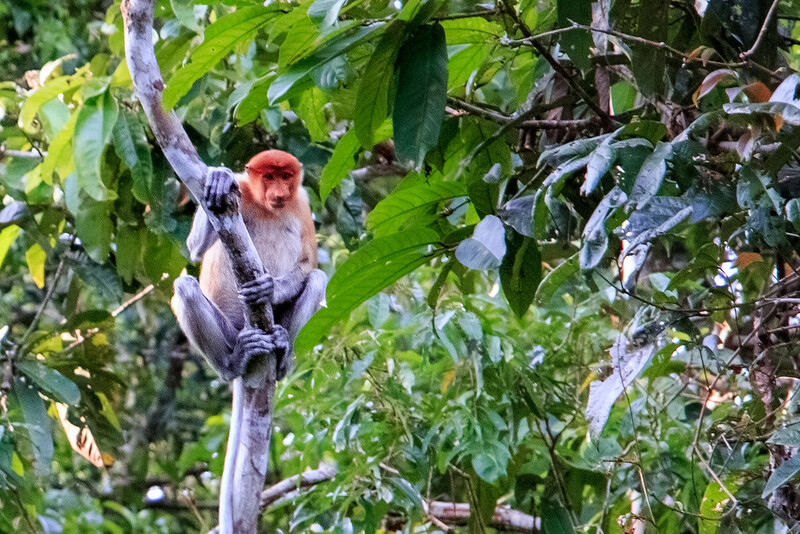 Learn more about the incredible wildlife of Borneo. Sandakan / Sepilok to Sukau will cost you 50RM / person. 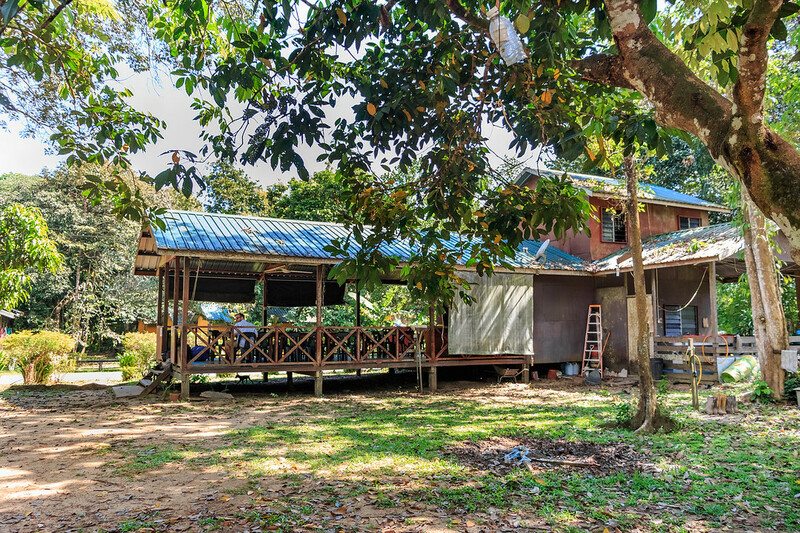 RD Sukau : Double occupancy cabin 60RM / night (breakfast included). Greenview : Double occupancy cabin 150RM / night (breakfast included). Check out their reviews and their prices. RD Sukau : 50 RM / person. All other lodges should do the same price. If you click on some of the links above, we may get a commission, at no extra cost to you. Thank you for supporting this site ! Glad everything went smoothly for your trip. I just want to clarify what you exactly mean by saying “choose your river cruises “à la carte”.? Does this mean you can just find a boat and guide once you get there? Hi Kat, thank you for your comment. What I meant was that most of the time you can book cruise + lodging packages, like 3D2N with 4 cruises, etc. 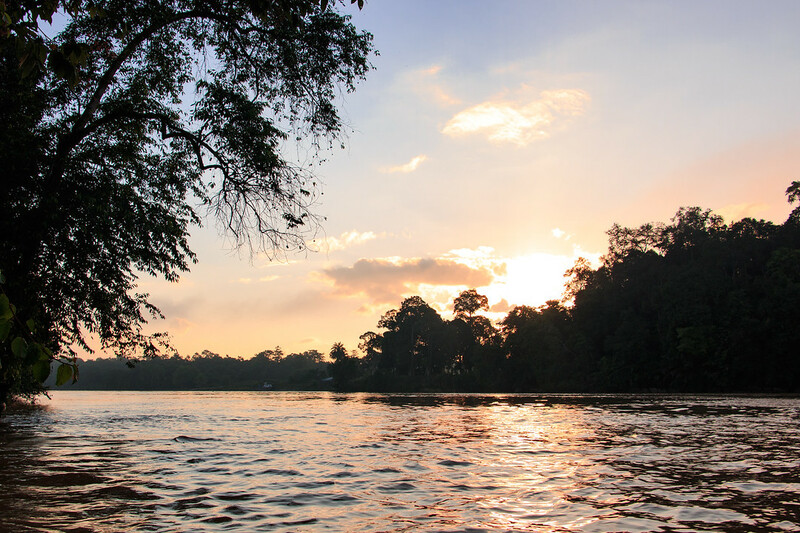 But if you show up to the lodge and only book accommodation you can book your cruise directly on the spot and do as many or as little as you want. I only know about Sukau, they do both the packages and the lodging + cruises separately, and with them you will probably be alone in the boat compared to other more popular lodges. I hope this helps. Let me know if you need to know more. We tried to find the budget accommodation you were referring to; RD Sukau. However, we cant find any property with that name. Is it possible you are referring to Sukau RB Lodge? (maybe they changed the name or sth). If not, could you provide me with contact information or website so I can book a 3D2N package with them? 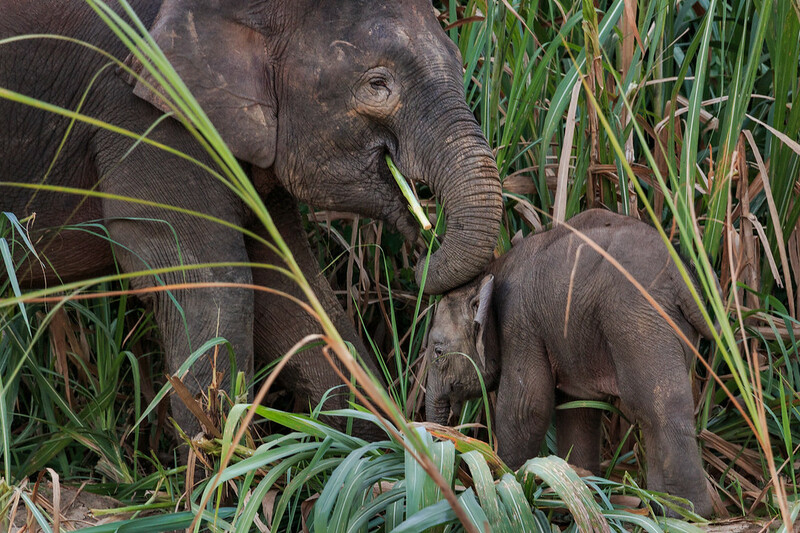 You mentioned that you saw the elephants a few kilometers upstream from Sukau and that you had to change village and take a boat from there to spot them, where is the other village and how did you get there from Sukau? 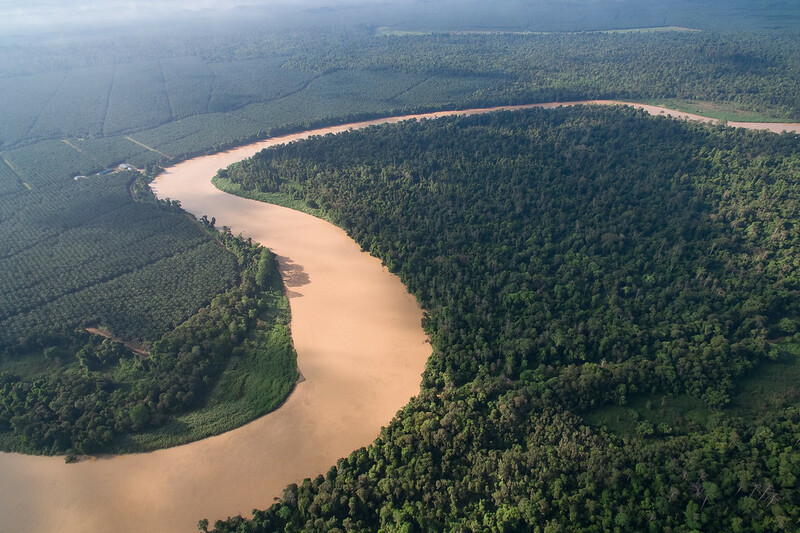 Hi, In September we want to go to Borneo and do the cruise on the Kinabatangan River. I wanted to book the RD Sukau lodge in advance via booking.com or another site but it seems that it’s not possible. Can we take the risk to book on the spot? Hi Talia, I’m not sure which place you are talking about. If you meant RD Sukau, you cannot book it online but you can show up directly and they will probably have a room for you. Otherwise, Greenview is nearby so you can stay there and do the tours with them, or only stay and do the tour with RD Sukau. 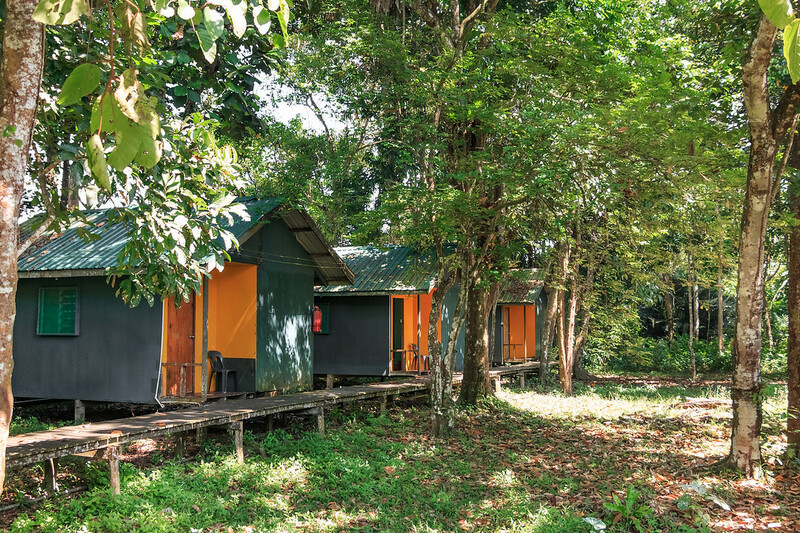 You can book Greenview here : https://tinyurl.com/ydymtb2h Or, try to book Nature Lodge Kinabatangan in Bilit : https://www.booking.com/hotel/my/nature-lodge-kinabatangan . I hope this helps, let me know if any of these places are not open anymore so I can keep the info in my article updated 🙂 Happy travels ! Hello, I was looking for a river tours in Borneo. 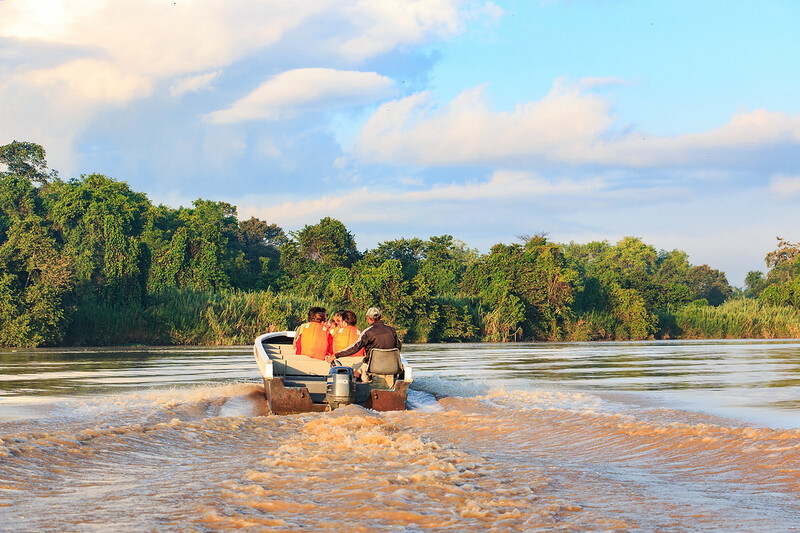 Someone recommend me to take these kind of tours, where you spend the nights with your couple in a private boat through the river, and also visiting the Orangutan parks and so on. Do you offer this tours? My plan is to go with my girlfriend at the end of September, and the beginning of October. You can approach us at info@kinabatanganriver.com.my or visit us at facebook : borneo natural sukau bilit resort. We do offer affordable price for 3d2n package or 2d1n package at kinabatangan river and also we do offer tour at sepilok. HI Violette, thanks for this very useful information. my wife and I have booked to stay in Sandakan for 5 days before Island hoping in Sabah in late Febuary 2019.. We plan on going in to the rainforest to catch a glimpse of the Oragutangs. Because we also like to do trips in a DIY style your blog has helped us immensely. Once in Sandakan I planned on talking to the locals or even to one of the guesthouse owners as how best to arrange the jungle trek. Reading your blog all I have to do is arrange transport to the river lodge and arrange the 2D1N stay direct there. Can I ask considering we are planning on the 2D1N option what is the best time to arrive at the river lodge? Hi, what do they include in the 2D1N package at RD Sukau? Planning a trip there soon and would like to keep it as budget as possible. The 2D1N package is only after we reach there right as they don’t provide any transportation I presume. After reading your amazing itinerary I’ve booked to fly to Sandakan and spend one night there then next day travel to Sepilok for 2 nights to visit the sanctuary’s. Then I plan to go to Sukau as per your above recommendation and I’m just wondering does Mr Choy collect in Sepilok to take me to Sukau? Just wondering on some confirmation so I can book my stay at the Suaku accommodation.